Steve McQueen’s new crime drama ‘Widows’ will make its world premiere at the 2018 Toronto International Film Festival in September. Co-written by Gillian Flynn (‘Gone Girl’) and Steve McQueen, ‘Widows’ is the British director’s first feature film since making his Oscar-winning ’12 Years a Slave’. The film boasts an all-star cast that includes Academy Award winning actress Viola Davis, Michelle Rodriquez, Elizabeth Debicki, Jon Bernthal, Academy Award nominee Daniel Kaluuya and Academy Award winning actor Robert Duvall. 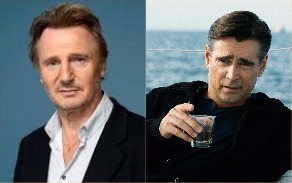 Irish actors Colin Farrell and Academy Award nominee Liam Neeson will also feature in the heist film. Set in contemporary Chicago, amidst a time of turmoil, ‘Widows’ follows four women with nothing in common except a debt left behind by their dead husbands' criminal activities, who take fate into their own hands, and conspire to forge a future on their own terms. Other films that will hold their world premieres at TIFF include ‘The Beautiful Boy’ starring Timothee Chalamet, ‘Red Joan’ starring Dame Judi Dench, ‘Life Itself’ starring Olivia Wilde & Oscar Isaac, ‘Ben Is Back’ starring Julia Roberts Barry Jenkins’ ‘If Beale Street Could Talk’, Damian Chazelle’s ‘First Man’ starring Ryan Gosling & Claire Foy, and Bradley Cooper’s ‘A Star Is Born’ starring Lady Gaga. The 43rd Toronto International Film Festival runs from September 6th – 16th, 2018.